Emory lead investigator K.M. Venkat Narayan, MD, Ruth and O.C. Hubert Professor of Global Health, RSPH. With help from a five-year, $1.1 million grant from the National Institutes of Health, global health researchers at Emory's Rollins School of Public Health (RSPH) will create a new institute to train investigators and leaders in implementation sciences to address the rapid rise in of chronic, non-communicable diseases (NCDs) like cancer, mental illness and heart disease in low- and middle-income countries. The Emory grant is one of 15 awarded by the NIH's Fogarty International Center to fund training in research areas related to non-communicable disorders, with the ultimate goal of producing locally relevant, evidence-based interventions. "Non-communicable diseases such as cancer, diabetes and cardiovascular disease continue to ravage developing regions of the world, with a lack of trained clinicians and researchers compounding the epidemic," says Fogarty director Roger I. Glass, MD, PhD. "Awards from the NCD-Lifespan program will help break new ground by building chronic disease expertise where it's needed most." The goal of the new Emory Implementation and Systems Sciences Institute will be to train health professionals and scientists in developing countries to help bring them to the next level of public health practice and leadership. Emory will help train 60 young professionals from Mexico and India to build their careers focused on designing and evaluating policies and/or interventions for NCD risk reduction. The program will also help build sustainable capacity at their home institutions. "A big challenge for healthcare and public health worldwide is the inadequate implementation of evidence-based proven interventions. Often this lack is due to systemic factors and a lack of sound implementation sciences and leadership," says Emory lead investigator K.M. Venkat Narayan, MD, Ruth and O.C. Hubert Professor of Global Health, RSPH. "We hope to address these challenges by training a cadre of leaders and eventually extending this training to countries beyond Mexico and India. And the US can also benefit by learning about low-cost models to implement high quality care from these low and middle income countries," adds Narayan. "Our institute is unique and addresses a well-known need among health professionals–helping them develop inter-disciplinary skills and abilities so they can communicate their research more effectively to key decision-makers and think about the ‘next phase' of getting research into policy and practice," says Mohammed Ali, MBChB, MSc, assistant professor of global health at Emory's RSPH. 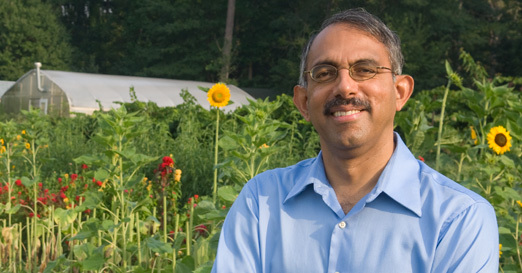 Narayan and his Emory colleagues authored two perspective articles in the New England Journal of Medicine (2010 and 2011), extolling the growing burdens of NCDs and the collective global effort needed to stem the impact of these conditions.